Anyone who has sold a house or bought a home for sale knows how difficult the process would be if a real estate agent weren’t there to facilitate the process. For whatever reason, some people are under the impression that anyone can sell a house without the help of a real estate agency, and that all it takes is creating a real estate listing, setting up an open house, and finding someone who is willing to buy the house for your original asking price. There is much more to buying and selling houses than meets the eye, so continue reading to learn some key benefits of having a REALTOR® help sell your house, or contact Laura Dean Real Estate today to set up a free consultation. Perhaps one of the most valuable things a REALTOR® brings to the table is extensive knowledge about the real estate market in your area. Take Shreveport, Stonewall, and Greenwood, for example. Each of these cities and towns has unique housing market trends, which are dependent on the population, property sizes, attractions, the local economy, and many other factors. An experienced real estate professional who has helped people buy and sell homes in the area for decades will know exactly what homes are worth, and they will also have exclusive access to financial information about recent home sales nearby, which will help with the home valuation process. A REALTOR® also has access to a number of other materials that can greatly benefit your home sale, including the Multiple Listing Service (MLS). This is the home seller’s gold mine — it is a database of active homes for sale in your area, which you can only add your property to with the help of a real estate professional. This means that all the information about your home, such as the age, square footage, property size, location, remodels/renovations, etc., will be available to all other real estate brokers nearby. Then, if your property matches a potential buyer’s ideal house for sale, the broker can take further steps toward helping their client make an offer and ultimately close the deal. A real estate professional will also be able to help you get your house ready for the sale by pointing out any necessary repairs or renovations, identifying any housing code violations, and providing advice about how to increase the chance that your home will sell. This could be anything from repainting your teenager’s lime-green bedroom and refacing the kitchen cabinets to giving your lawn a little extra TLC. Then, when it comes time for an open house, you will have a far greater chance of someone making an offer. After all, a REALTOR® will have a keener eye for these areas of improvement than any home buyer would. 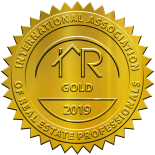 Last, but certainly not least, the best REALTOR® will have extensive experience in many different types of residential real estate, such as short sales and REO properties (lender or bank-owned properties). Because of this, they can illuminate opportunities that have never crossed your mind before, which can help you get the best deal when it comes time to buy or sell a house. I am a Certified Real Estate Pricing Specialist, Certified Short Sale Specialist, and Certified Foreclosure Specialist, so you can rest assured that I’ll have all your bases covered as your REALTOR®. Contact Laura Dean Real Estate today to learn how I can help you buy or sell your home in the Shreveport area!